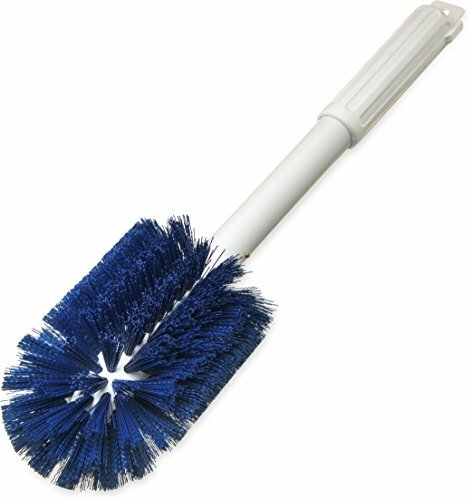 Carlisle round head Atlas brushes are versatile for cleaning a variety of commercial kitchen equipment. Cleans in all directions. Medium stiff Polyester bristles provide aggressive cleaning. Base resins used to produce blocks and bristles are made of FDA approved materials. BPA free. Multi-Purpose Brushes steam kettles, vats, pots and tanks scratching and clean in all directions aggressive cleaning bristles. 4-inches bristle diameter. 6-inches brush length. 16-inches overall length. Blue color. Made in USA.